Fans of tactical shooters, Steam has a deal for you: Download and install Red Orchestra 2 sometime before 10 A.M. Thursday and it's yours forever. Yes, free. Yes, no strings attached--unless you consider a Steam account a "string," but most PC gamers already been wrapped up in Valve's cat's cradle-like monstrosity for years now. 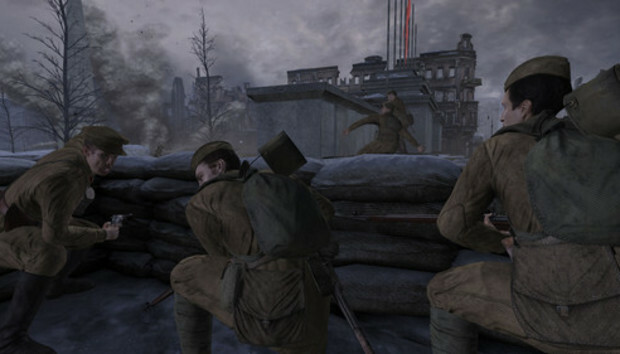 Sure, Red Orchestra 2 is a few years old now and getting a bit long in the tooth, but it's still one of the most satisfying, complex multiplayer shooters out there. If you've never played before, don't jump in expecting Call of Duty. You will die. Often. And horribly. This is a slow-paced, PC-only type of shooter. There are a couple of caveats here. Normally when Steam gives something away for free you can just click the "Install" button and cancel partway through, tying the game to your account without needing to download right away. According to the promotion's wording, that isn't the case here--you need to install the entirety of the game today in order to take advantage of the offer. However, you're free to try canceling the install and seeing if it works. Just don't be surprised if it doesn't. You definitely will receive Red Orchestra 2's singleplayer portion, but that's not really the draw here. You also receive full access to Red Orchestra 2's base multiplayer, which is Russia versus Germany--full weapons, full leveling, full unlocks, et cetera. Then you also get "Rifle Access" to the Rising Storm expansion's multiplayer, which features Japan versus the United States. However, this Rising Storm content is basically a demo--you can't level, and you're stuck with a single class and single weapon. Still, it's not a bad deal. Go forth, comrades, and enjoy the fruits of somebody else's labor freely given.